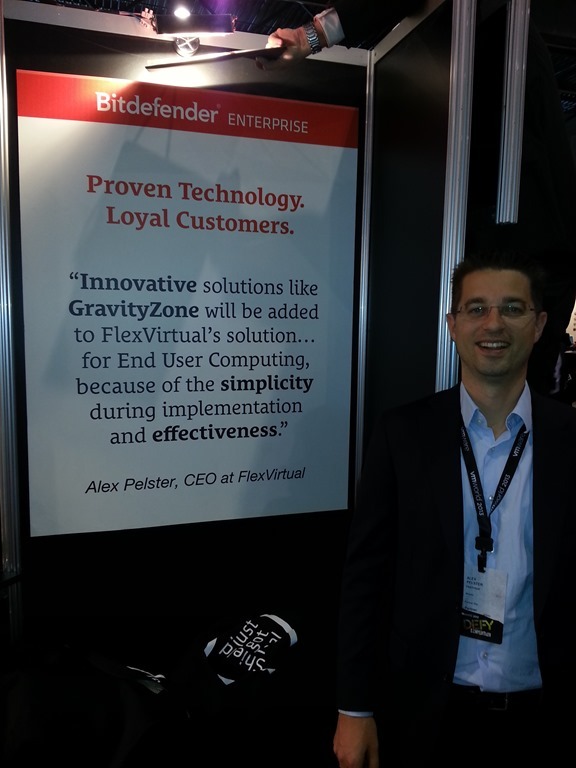 FlexVirtual is proud to be quoted at the #VMworld BitDefender exhibition stand. FlexVirtual, as BitDefenders first partner in the Netherlands, has been very actively involved with BitDefender testing with and giving feedback about the latest releases of GravityZone, BitDefenders latest product. GravityZone delivers one console to manage security at all your different endpoints in the enterprise, as there are virtual servers or desktops, physical servers or desktops and mobile devices. Besides that, securing virtual environments means BitDefender GravityZone is not bound to the VMware hypervisor.